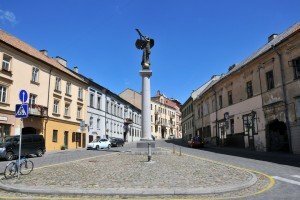 Here you will find unseful information about what to do and what to see in Vilnius: sights and monuments, museums, entertainment, nightlife and exhibitions, souvenirs, architecture and etc. 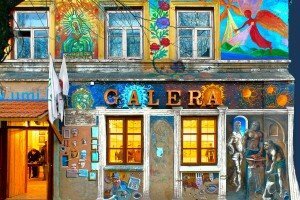 From Lithuania carry 2 types of souvenirs – culinary or amber and ceramics. 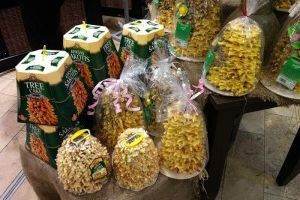 The last is very easy to find – they are sold almost everywhere. 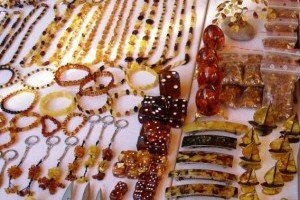 The largest selection of amber jewelry can be found in small shops in the Old Town of Vilnius. 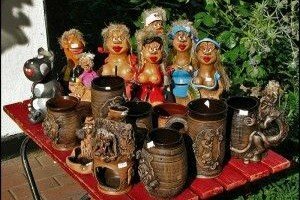 All kinds of plates, beer mugs, ashtrays and figurines devils are quite inexpensive, and are sold in the same place as amber – the central streets of the majority of Lithuanian cities. If you want to buy a gift as alcohol, take a look at one of the famous Lithuanian liqueurs: Dainava, Palanga or Shokoladis. Those who prefer stronger drinks, delight Lithuanian tincture (up to 50 degrees) and balms. And fans of the sweet to the soul will have a delicious cake national Šakotis. 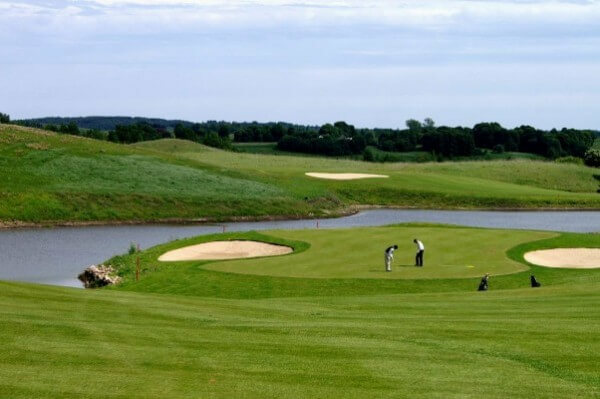 Just 20 minutes drive from Vilnius in the village Giriya Golf Club European Centre Golf Club, where you will have a great opportunity to play a very interesting game, because there is plenty to do reservoirs: Lake Giriya, natural ponds, canals and other natural obstacles. 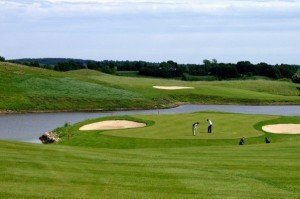 The unique landscape will provide an opportunity to play all the clubs, which are hided in your bag! Well, who want to tickle nerves you should definitely try bungee jumping – one of the most exciting and extreme activities in Lithuania. It jumps from the TV tower in Vilnius. The tower’s height – 326.5 meters and an average flight speed – about 104 km / h. Those who have decided on an extreme jump, speak of him as the most memorable moments in their lives. If you just want slowly to enjoy the city, in the warmer months you can go on a boat. 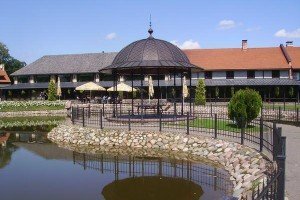 Trakai – is the city between 3 lakes, 28 kilometers west of Vilnius. 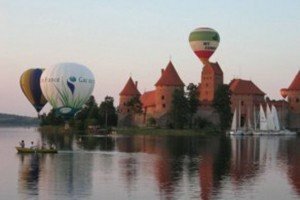 Old Trakai in the Middle Ages was the capital of Lithuania. Not so far from it, 3 kilometers away, was founded another settlement that grew up in the present town of Trakai. Today Trakai and its surroundings are a representative territory Lithuanian history. Three castles built here attest to the exceptional importance of this place in the life of the country. 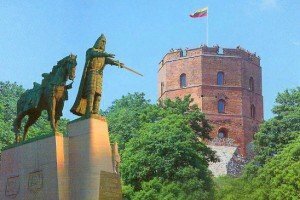 Even having lost its military importance, this area has long remained the residence of Lithuanian rulers. 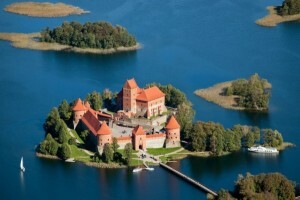 Extant two Trakai Castles are the most famous complex of defensive architecture in Lithuania. The castle was built in 1409. 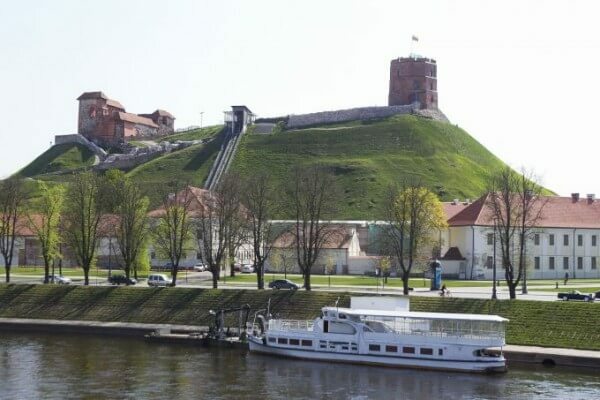 This is the only fortress built on the water, as it was one of the strongest and most impregnable fortresses throughout Lithuania. Now there is the Trakai History Museum. In Trakai you can rent bicycles, kayaks and catamarans. Near the town are several horse riding centers where you can ride horses. 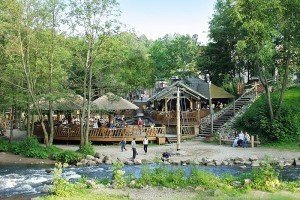 In 8 km from Trakai there is an adventure park with trails, both for adults and for children, and other possibilities of active of t he rest. 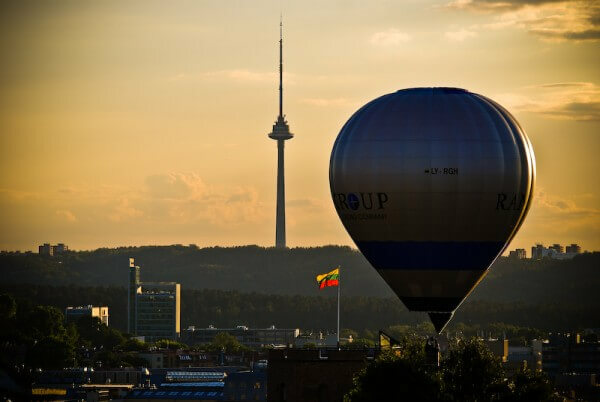 Flight with a balloon – it’s not only an unforgettable experience, but also a chance to see the best view of the city. Gediminas Tower – a symbol of Vilnius. Tower – is all that is left of the once powerful fortifications of the Upper Castle, situated on a 48-meter hill near the Cathedral. The tower is named after the founder of the city – the Grand Duke Gediminas. By Gediminas Tower can be reached by cable car to the Arsenal, built in 2003. In the tower itself a branch of the National Museum. 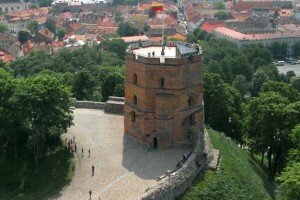 On the tower Gediminas Castle is equipped with an observation deck, which offers a spectacular view of the entire neighborhood. Gediminas Avenue – one of the most beautiful streets of Vilnius. There is life always simmering! On the avenue full of restaurants and cafes, luxury shops, hotels, offices of various banks, etc. And also there are such important institutions as the Seimas of the Republic (parliament), the government, the courts, theaters, Academy of Music, National Library of Martynas Mažvydas, Museum of Genocide Victims and more. There are festivals of the city, fairs, concerts, processions. 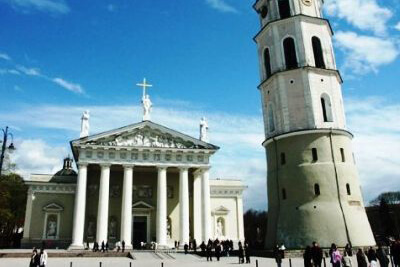 The Cathedral Basilica can be called the central attraction in Vilnius. It is located in Cathedral Square, where are located the main streets of the city. 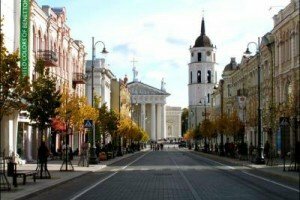 Visit Vilnius and not see this architectural structure is impossible even if you wish. From the Cathedral Square is perfectly visible the Castle Hill, which is located on her famous Gediminas Tower. It is believed that the first cathedral was built to mention the baptism of the King of Lithuania. Later the Cathedral was rebuilt several times, and to this day is preserved fragments of the different styles. The building interior is rich of valuable frescos, paintings, sculptures, tombstones. Into the underground of Cathedral there is the oldest fresco of Lithuania (XIV century), which depicting the crucifixion of Christ. 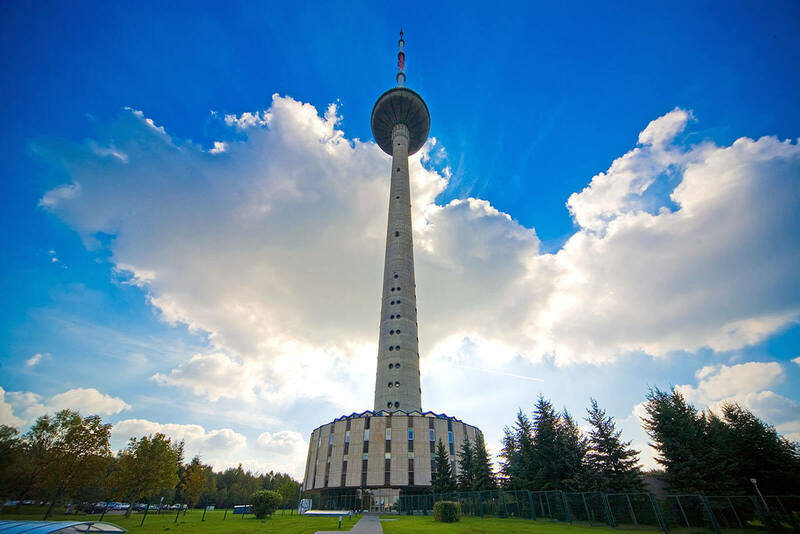 TV tower in Vilnius attracts visitors to the capital, as the tallest building in the country and as a monument to the dead citizens of Lithuania’s struggle for independence. On the ground floor there is a small exhibition of pictures dedicated to the tragedy that occurred on 13 of January in 1991. 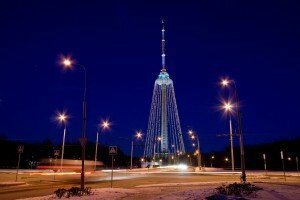 On this night, were killed 14 civilians who tried to resist the seizure of the tower by Soviet troops. In memory of this collision near the tower there is monument. Its height is 326.5 meters. 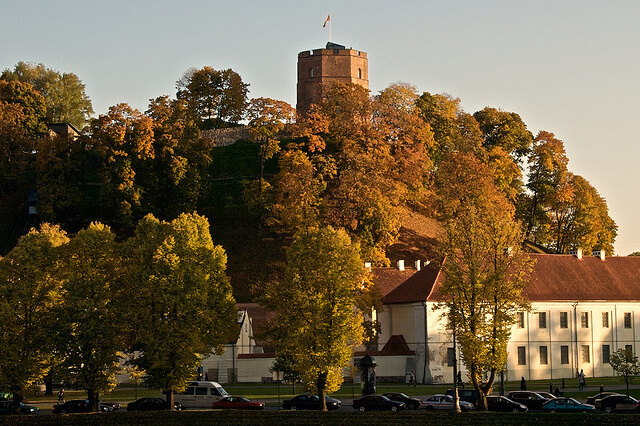 In cloudless days when cloudy weather recedes, the tower offers a unique panorama of Vilnius, the radius of 50 miles. 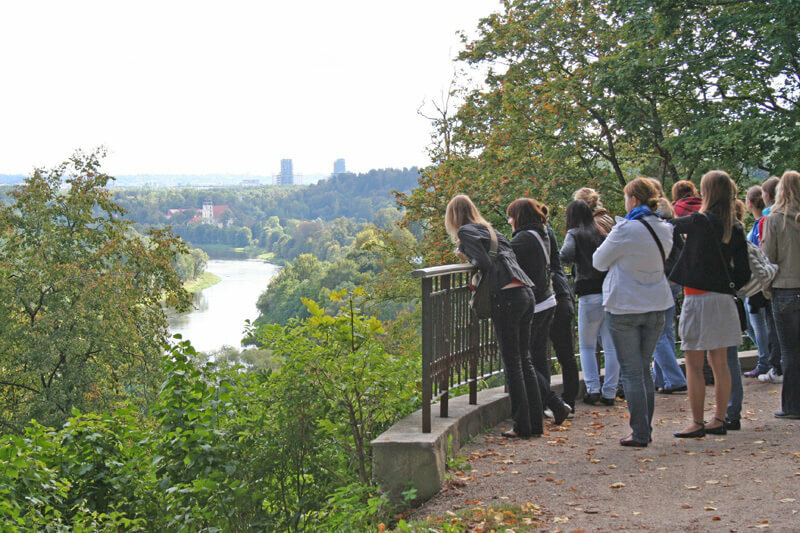 Here, on the part of the observation deck, is a cafe «Paukščių takas», which translates as the Milky Way. From here it’s best to enjoy the view of our capital. In 2000, the tower was decorated like a Christmas tree. It was the highest in the country festive tree, decorations were used for the most diverse lighting equipment. 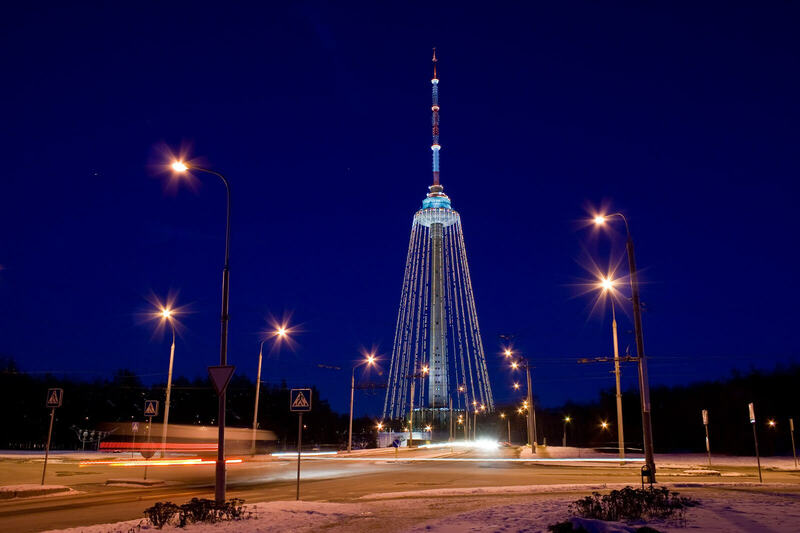 Now decorate the TV tower for the New Year has become as tradition. Sometimes Užupis is compared with the Montmartre district of Paris or Copenhagen Christiania. Užupis – is “the Respublic” of artists. 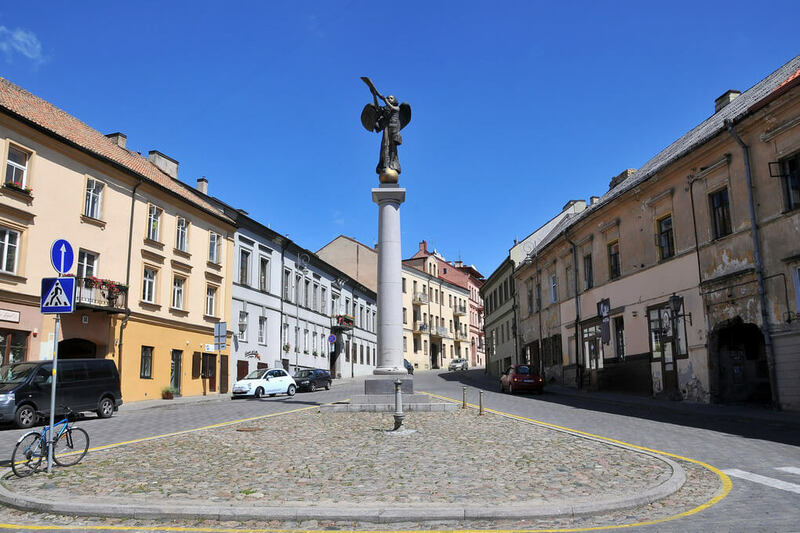 It has its own national anthem, constitution, president, bishop, two churches, one of the oldest cemeteries (Bernardinų) in Vilnius ,seven bridges and the guardian – the bronze angel of Užupis … Currently Užupis is one of the most prestigious and most expensive districts in Vilnius. 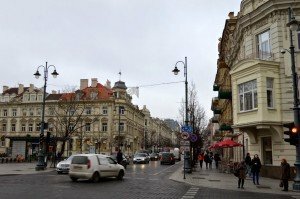 It’s a small and cozy insulated quarter of Vilnius. Translated from the Lithuanian “Užupis” means “on the other side of the river“. One part of a city block is located in the Old Town, the other part of the city is surrounded by steep hills and mountain Three Crosses, and the third side is the industrial zone, which was built in Soviet times. 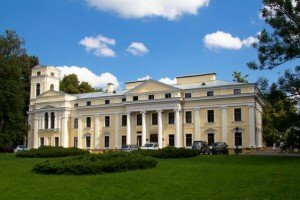 If you have already seen the Vilnius Old Town and religious buildings, it would be great to go to the right coast of the Neris River, where is wonderful green Verkiai Regional Park. While visiting this park, you can relax from the city bustle, the park charges a positive energy of each of its guests. In the park you can not only sit by the river and walk along the paths among the green trees, but you can also see architectural monuments which will be interesting to see, if you are already in the park. 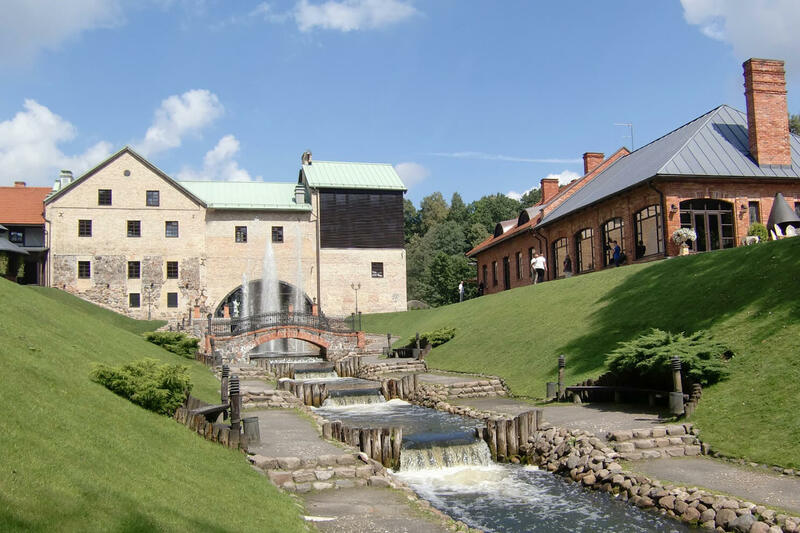 This area has its own story, so in 1992 the park was officially opened with a mission to save the Verkiai attractions and protected landscape area. 76.5% of the entire territory of the park is covered with forests. More than half of the entire park specially protected under the supervision, the rest of the area is intended for recreation. 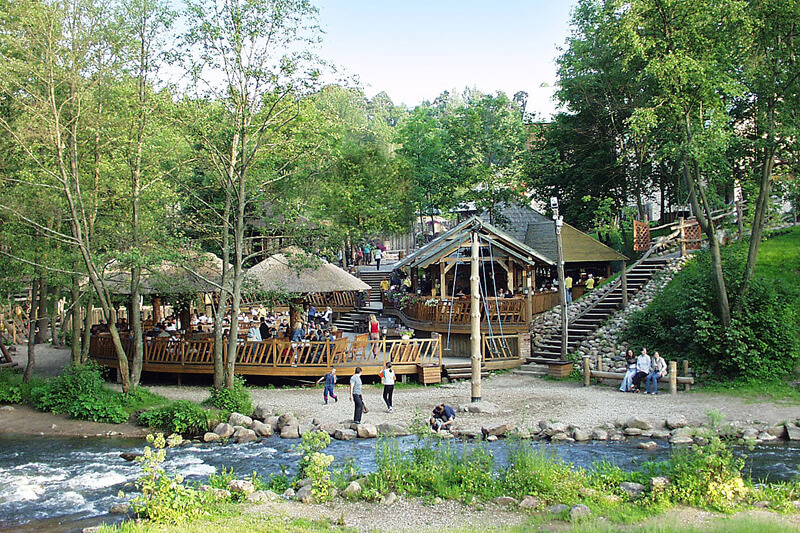 Belmontas Park is a recreation center and is located in Vilnius. Belmontas Park was founded on the ruins of a water mill, surrounded by spectacular cliffs and hills. After renovation remains of buildings and applying delights of landscape design, there is opened a stunning modern entertainment complex. Area of the park is about 2 hectares. There pitched a magnificent park and flower gardens, paved winding paths, arranged cozy gazebo, fountains and artificial waterfalls. The highlight of this place is a pond where black swans swim proudly. After sunset in the park Belmontas soars mood charm and magic of the night. This effect is achieved thanks to the numerous lamps. 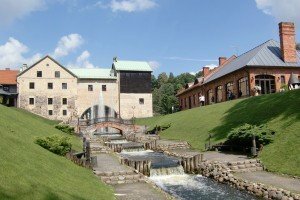 Tourists can visit the restaurants and cafes located in restored historic buildings, mills, and in the summer to relax in the bar and gazebo. Belmontas entertainment complex offers quad biking and horseback riding, climbing and flying air bridge bungee. Relax in this stunning location will leave a lot of memories and positive emotions. 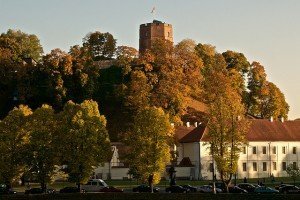 Vilnius is full of wineries, where you will have a chance to taste the oldest wines and to enjoy the Old Town of Vilnius. 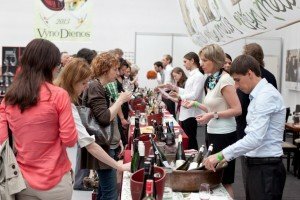 Also there is wine fair “Vyno dienos” – is the biggest wine event in the Baltic States, which attracts around 4000 visitors. 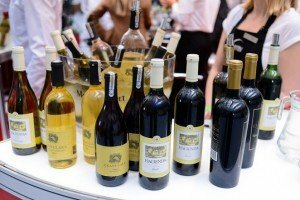 Wine exhibition is held each year in May at the Center for Contemporary Art on the Vokieciu street (Vokiečių g.). Ticket for one visit to the allows you to visit all the tastings and seminars conducted on the selected day . Every visitor of “Days of Wine” at the entrance gets a glass with symbols of the exhibition, which can carry with them as a souvenir. The essence of the exhibition best conveys the phrase that became the motto: “Two days in which to try the whole world.” And indeed, in the world there are few wine regions, which would not have been presented at the Vilnius “Days of wine.” And the task of visitors to this exhibition – try, try and try. During one visit you can taste many different wines as you can not buy and for the year. And this – the main, in our opinion, the value of “Days of Wine” for the ordinary visitor, who is not related to the number of wine professionals. Often standing at the shelves of wine, just get lost in the abundance of proposals, not knowing what to choose. You can know about the wines a lot, but even in this case it is difficult to say for sure whether I personally like this is a particular wine, highly regarded professionals. “Days of Wine” let you know it’s up to buy a bottle, not after! 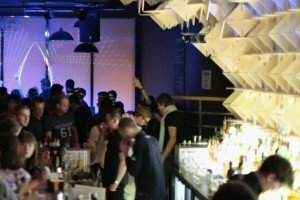 Vilnius has a wide selection of night clubs, where you can enjoy the music, drink the nicest coctails and dance until the morning! 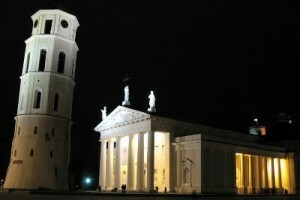 Great pleasure can be obtained simply by exploring the night Vilnius. Some bars and night clubs can compete with clubs in most cities around the world rave. If during the day the main entertainment for guests of Vilnius are excursions and walks through the beautiful parks, the nightfall visitors will find numerous nightclubs. 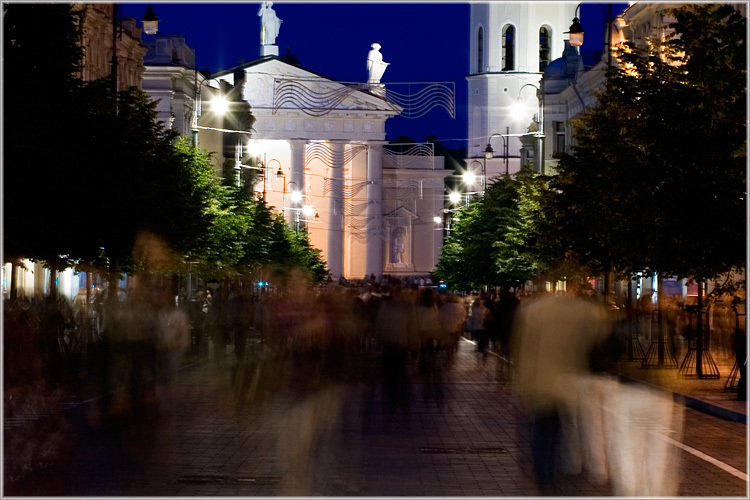 Nightlife in Vilnius differs saturation and, of course, a bright personality. A simple walk through the narrow old streets of this amazing city in the evening or at night can be an exciting journey, flows smoothly into acquaintance with the modern culture of the city, its artistic and creative young people, positive and light atmosphere. 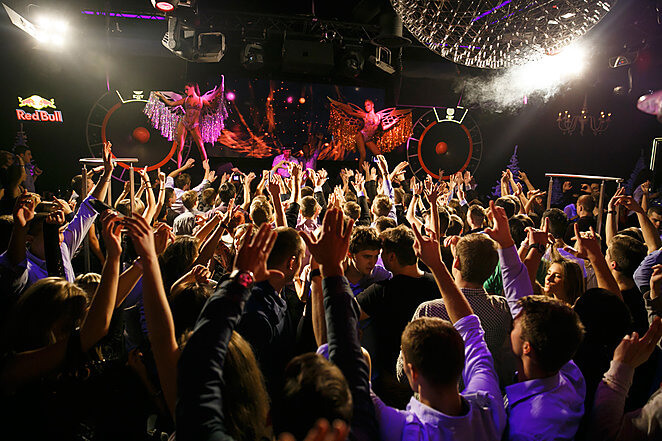 Parties in Vilnius are an integral part of the cultural life of the local youth. In this fantastic city everyone can find something close to his heart, appropriate personal preferences. 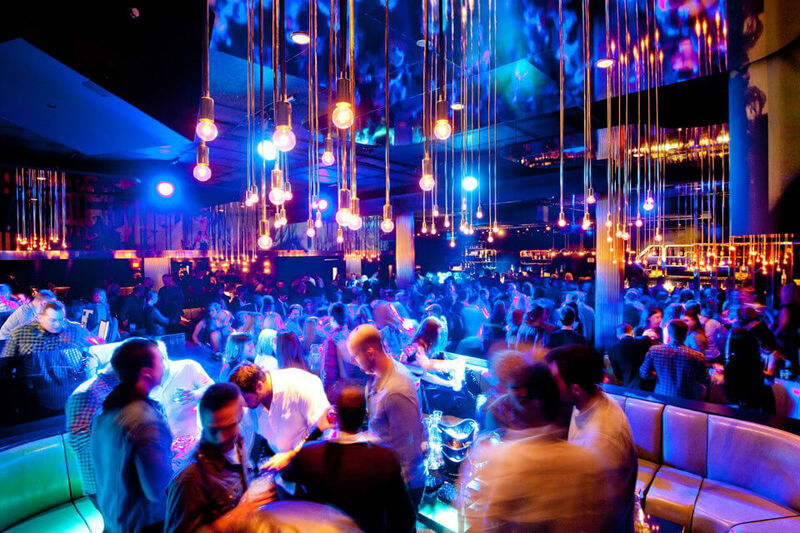 Before midnight in most of the nightlife can be accessed free of charge. 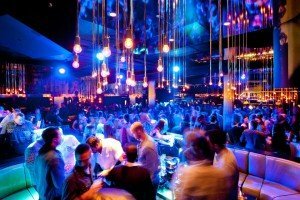 With the advent of a new day is assigned a entrance fee, which depends on the status of the night club, as well as the ongoing activities in it. Bar/club/pub crawl called a kind of bar-tour. It generally begins in one place, continues in another, third, fourth … and so on ad infinitum. This is attraction great for first night in Vilnius. 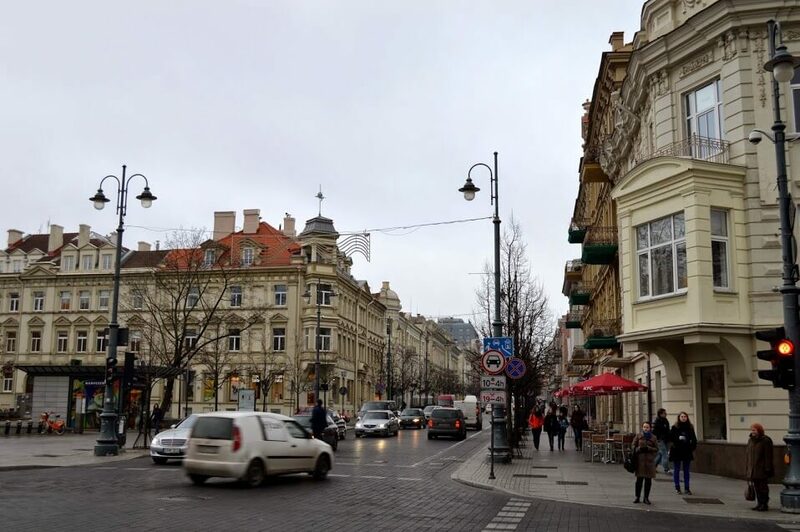 We offer you a route for some main streets of the city: Gediminas avenue, Vilniaus street, Islandijos Street, Vokieciu Street and etc., where are many bars for different taste. 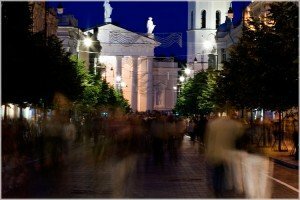 You will be always accompanied by professional guide, who knows the best nightlife places in Vilnius. Bar crawl’s point – is to meet with friends and go to different bars of the capital. You can go to a tour of a big company – will be more fun. Bar Tour – a great opportunity to spend time wondering, socialize, meet new people and visit new places. The aim of such a “tourism” is that people can learn a lot about the bars of the capital, expand the geography of his hikes, fill out the body of knowledge about alcoholic beverages and cocktails from them. In addition, such a walk – a great way to meet new people.